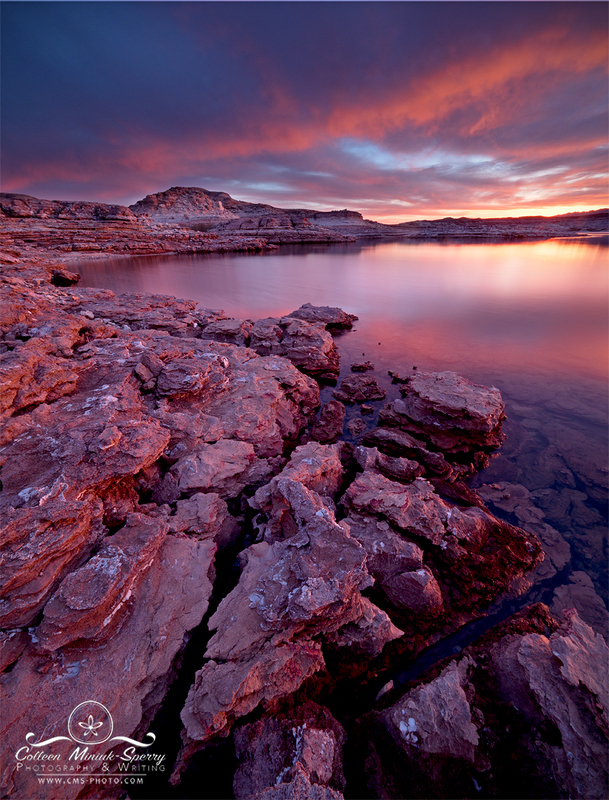 “Deliciousness,” from Lake Mead National Recreation Area, on the Arizona-Nevada border || Prints available–click on photo to order yours! 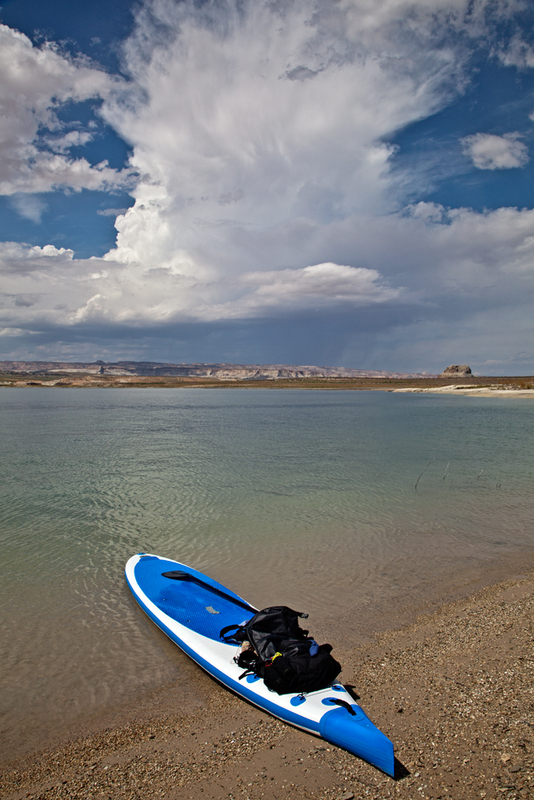 I wanted to spend time with an old friend of mine, the Colorado River, on my stand-up paddleboard (SUP) in a place I had only been once before, Lake Mead on the Arizona-Nevada border. I had spent much of the last year planning and training, and the last month watching and waiting for a window of favorable weather conditions. On November 1, I got it. Despite a bullying headwind for about five miles, I ended up paddling hard and long, almost 12 miles. When I found a good camp for the night, it was completely overcast. Even though I was tired, I still went exploring as the day came to a close. After all, I had never seen this foreign landscape before. Right after the sun went down, all of a sudden, BOOM! The sky exploded. It was off the hook! 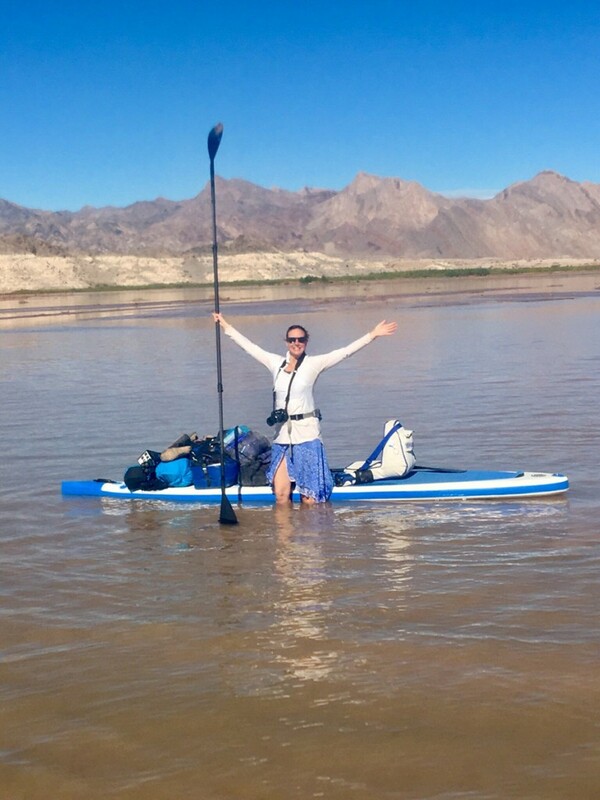 After nine days–two of which I spent in camp on high wind delay–I paddled just over 60 miles from South Cove to Kingman Wash. I finished last Friday morning. 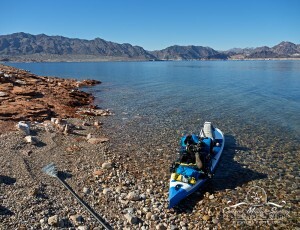 It was likely one of the first crossings of Lake Mead (the largest reservoir in the United States) by a woman on a SUP. Regardless, it was definitely a grand adventure! One where I learned more about the tenacity of the Colorado River as it’s transformed (once again) from a river to a reservoir. I witnessed indescribable beauty in the land and lake. 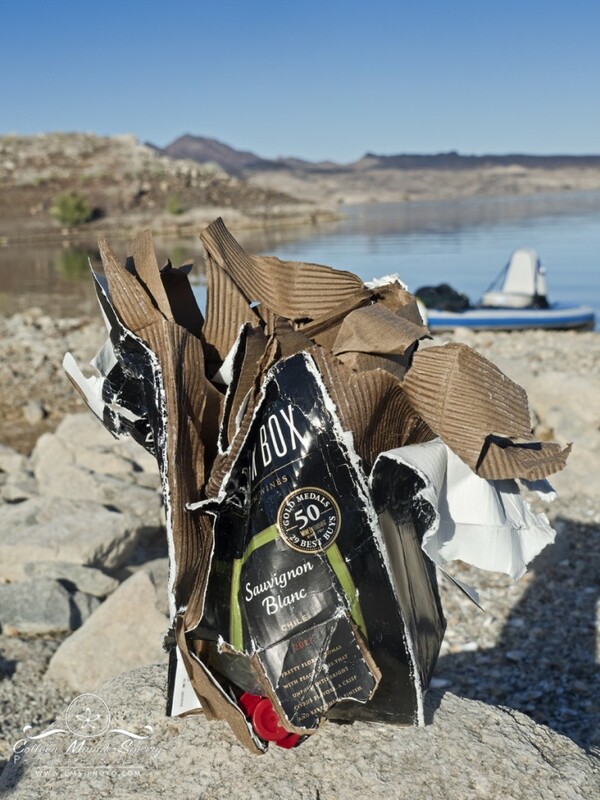 I tested my outdoor skills through high winds, equipment failures (broken sunglasses, paddle, and tent poles), and an accidental capsize 50 yards from shore. But most importantly, I listened to the wisdom of the river. 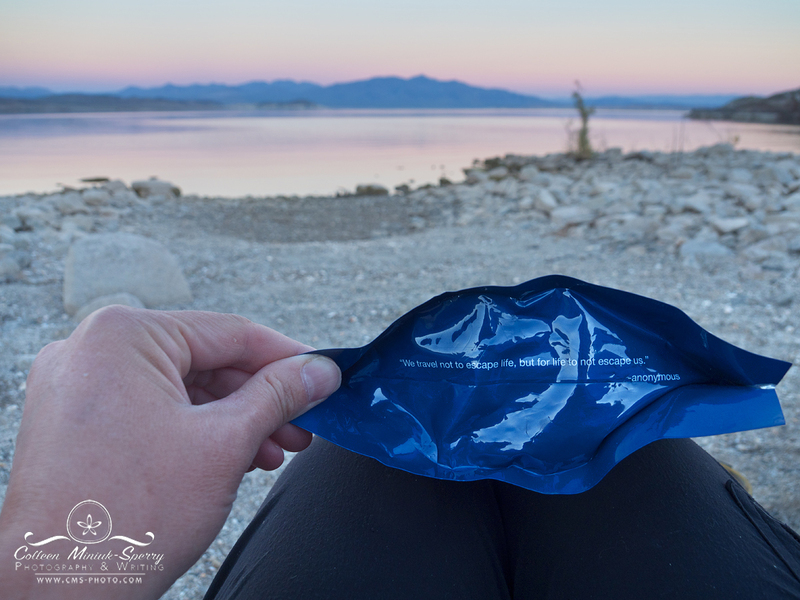 The journey reiterated the life lessons I have learned since 2015, when my life took an unexpected left-hand turn and I attempted paddle across Lake Powell—a trip I took to cope with my struggles with loss, one that, like life, didn’t quite go according to plan. My friend, the river, reminded me to keep going with the flow. And always keep your paddle all in. From the first day, about two to three hours after we started (aka, before the headwinds, LOL). I’m standing on the sand bar created by the Colorado River meeting Lake Mead. Photo courtesy Scott Lefler. 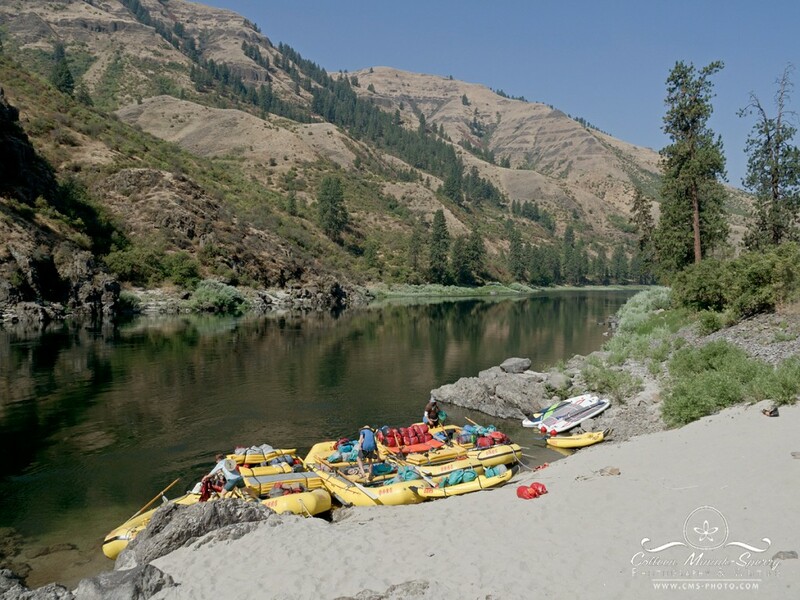 Some people who read my last post about our stand-up paddleboarding experience on Snowhole Rapid on the Lower Salmon River in Idaho asked if I had any videos of other rapids from the river. I do! Here’s one of my rides down a fun and splashy class II rapid called Packers Creek Rapids. It was the first rapid out of the Killer Goat Camp on the morning of day 2 of our “SUP Experience” rafting trip with OARS. Save for touching my hands to the board for a few seconds after that gnarly wave around 1:00, I stayed standing up the whole run! It was so fun! 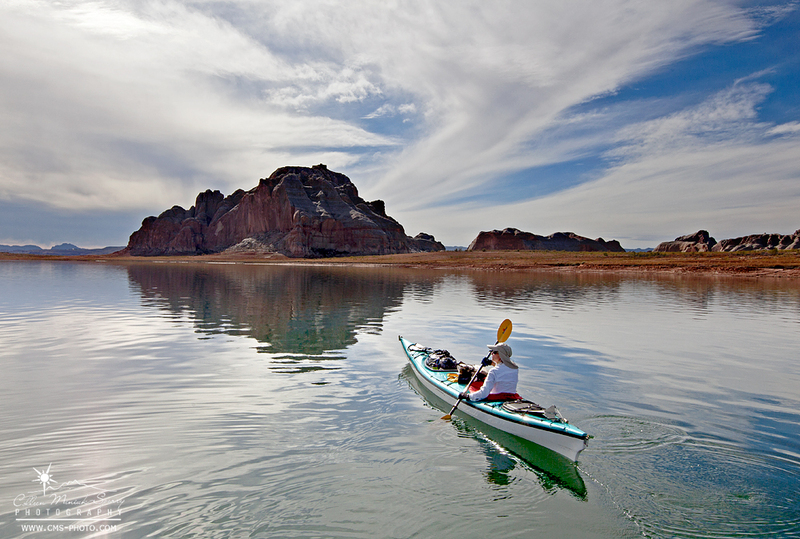 Want a taste of what our Lake Powell paddle adventure was like last November? For those of you would like to read a very abbreviated, 1200-word account and see additional photographs from our recent paddle adventure on Lake Powell, I’m thrilled to share that the National Parks Traveler has published my “Going With the Flow” article at www.nationalparkstraveler.com/2016/02/going-flow. 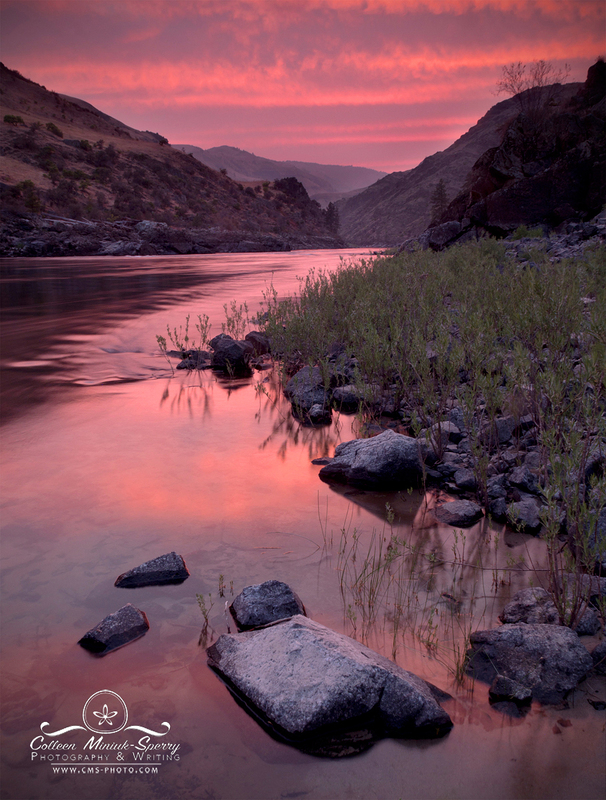 Additional photos were also published in the online and printed version of the “Essential Guide to Paddle the Parks.” To view the guide via Issuu for free, visit www.nationalparkstraveler.com/2016/02/essential-paddling-guide-exploring-parks-canoe-kayak-raft-and-even-sup. Because of the nature of the guide and article space requirements, I naturally had to leave out A LOT about our journey down the lake (including things like accidentally dumping my solar charger in water after Day 1, our scary Day 4, my significant life learnings in the aftermath, etc.). In hopes of telling the broader story, I continue to make excellent progress on penning my adventure book about our trip (using the article’s title as my book’s current working title). I’m up to over 36,000 words so far! I have not yet set a publication date yet, as I’m focused right now on getting my words down on paper and starting to form the story. But stay tuned! What life boils down to for the next 14-days…an iPhone snap of all the material items we’re bringing for our Lake Powell paddle trip. Whelp, after months of planning and preparation, it’s hard to believe that the big day has finally arrived! 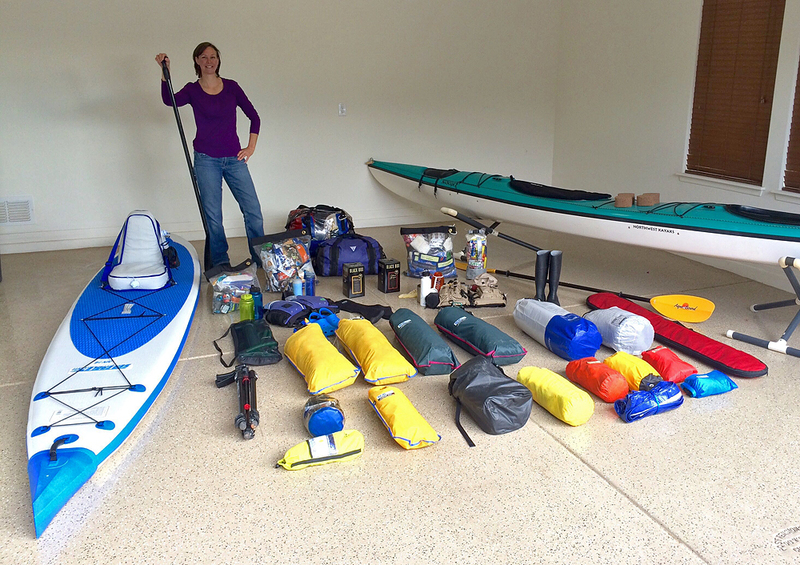 We depart for Utah today, and will begin our ~150-mile paddle on Tuesday morning! As we head out, thought I’d share answers to some of the most frequently asked questions I have received about this trip from others. If you have a question about our trip that I’ve not answered below, please leave me a comment, and I’ll be sure to address it upon our return in a future blog. Why, exactly, are you doing this? Not many have attempted to do it (I know a handful of men have accomplished the same feat on stand-up paddleboards, but I have yet to find any women who have). This is my big chance to be as adventurous as Pippi Longstocking, my childhood hero! I would like to share in an unforgettable adventure with my Mom and show her what true freedom and bliss feels like. I wish to disconnect from the world long to refresh and rejuvenate my mind and spirit for all the exciting opportunities ahead. Because I wanted a physical and mental challenge. Because there is a little voice inside my head that still isn’t sure I can…but I’m going to do it anyway! Because you guessed it, you can sleep when you’re dead! While I do have fairly strong opinions about the Glen Canyon Dam and our water shortage here in western United States, the magnificent sandstone walls, the undulating waters, and singing canyon wrens do not hold any political positions; I see no reason why – while I am among their beauty and in their home – I should possess one either. If I’m to make any important statement as a result of going on this journey it would be to remind everyone tuning in that, wait for…you can sleep when you’re dead! I do not mean literally (as in we should run around doing things 24 hours a day). I mean that when faced with an opportunity to do something or not do something, especially your dreams – no matter how big or small – I hope you feel inspired and courageous enough to just GO FOR IT! You only get one life, and it goes in a blink of an eye, so why not fill the time you have with much joy, meaning, curiosity, wonder, and gratitude? I cannot come up with a good reason not to, but if you do, please, by all means, leave me it in a comment below. We are starting at the North Wash/Dirty Devil take out, which is just north of Hite, and finishing at Wahweap Marina. If we followed the milepost/buoys exactly, we are looking at about 141 miles. However, that does not account for the many side trips and meanderings we will likely do…in the end, I would guess we will likely finish around 150 miles. Incorporating time for paddling, rest days, wanderings, weather conditions, etc., we are hoping to complete the trip in about 14 days. We are in no rush and will not take unnecessary risks when faced with unfavorable weather (especially high winds). BUT fellow photographers (and patient partners and spouses) know how fast “I’ll just be 10 minutes” can turn into an entire afternoon when you’re enthralled a magical place…considering this (and possible weather delays), we’ve packed food for 20 days. Why are you going in November? After I decided to pursue this idea, I checked my calendar and found the only time I could commit to a chunk of time within the next 12 months fell in this November and December. I did not want to wait – now sounded like as good of a time as ever. Although many have and will disagree with me, I feel it offers an absolutely ideal time to complete our adventure. It offers the prospects of the cooler temperatures (compared to scorching summer weather), a reduced chance of brutal winds (as seen in the spring), and fewer boats on the lake than most other months (so we would have the lake to ourselves). Won’t it be cold then? Weather forecasts suggest temperatures ranging from low 20’s to mid-60’s. My Mom and I completed our recent trial run at Lake Powell in 65-degree temperatures during the day. We were so warm from expending energy and the sun, we actually wished it was about 10-20 degrees cooler. At night, we were on the warm side of cozy during nighttime temperatures around 40-45 degrees. We have packed winter gear, just in case, and our sleeping bags are rated to 0-degrees (mine) and -30-degrees (my Mom’s). I’ve bet my Dad that we will feel warm most of the time…and I only bet on things I know I will win! Not clinically, no. However, I did just buy a selfie-stick (for use with my new fancy GoPro) so that may affect my status. Will you be blogging or posting your process on Facebook? In our fast-paced society where multi-tasking is not just the norm, but also expected, I wish to jump into this experience with open hearts and minds to soak every bit of the experience in without distractions. So, no, I will intentionally not be blogging during our trip. That said, beginning on Tuesday morning when we start our journey, you can follow our tracks recorded by my Delorme InReach tracking device by visiting https://share.delorme.com/ColleenMiniukSperry and use the password dreambig (one word) to login. If I have my technology properly figured out, I might post a couple of messages via my Delorme to my Facebook pages at https://www.facebook.com/CMSPhoto (CMS Photography) and https://www.facebook.com/ColleenMiniukSperry (my personal profile). How can we learn more about your trip once you get back? I’ll likely write a blog upon my return, but I plan to write my first adventure travel book from this journey. So stay tuned! Words cannot express how grateful I am to everyone who provided a song recommendation for our Lake Powell Paddle Playlist. What an incredible mix of music from an incredible group of people! In addition, I’m so thankful to those who have sent notes of encouragement and wishes for a safe, happy trip. Your kind and uplifting words mean a great deal to me, and you can be sure we will carry every single one of your sentiments with us as we paddle along. Wish us good luck…and good weather! My Mom, Jacque, kayaking in Warm Creek Bay during our recent trial run on Lake Powell in preparation for our trip next week (taken while standing on my SUP). 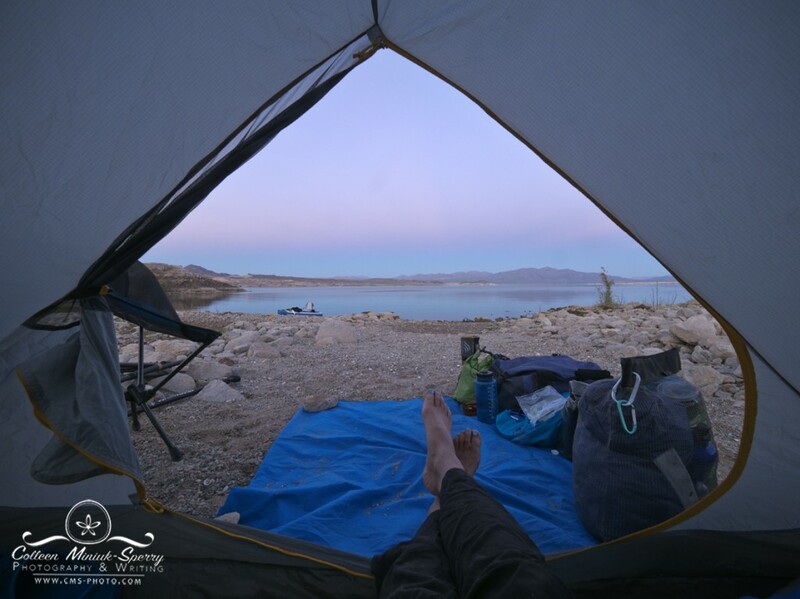 Today marks T-7 days until the start of what will no doubt be a memorable SUP/kayak trip down the 150-mile length of Lake Powell with my mom, Jacque (in case you missed my previous blog post, visit “What’s SUP? An Epic Adventure Awaits” at youcansleepwhenyouredead.com/wordpress/whats-sup-an-epic-adventure-awaits). I can hardly sleep at night, and that’s not only due to all my last minute preparations for our two-week adventure, but rather my overwhelming excitement to get this party started! 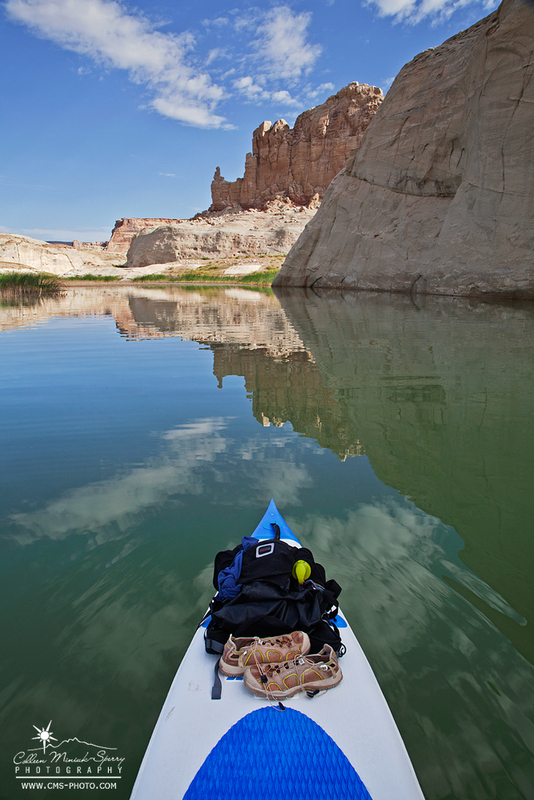 One of those last minute details calls for me to load what I’ve called the “Lake Powell Paddle Playlist” (try saying that three times fast!) onto my iPhone. Now, when I put out the call to all of you to provide favorite inspirational song, I had no idea what to expect (other than I know they’d all be fantastic, of course). 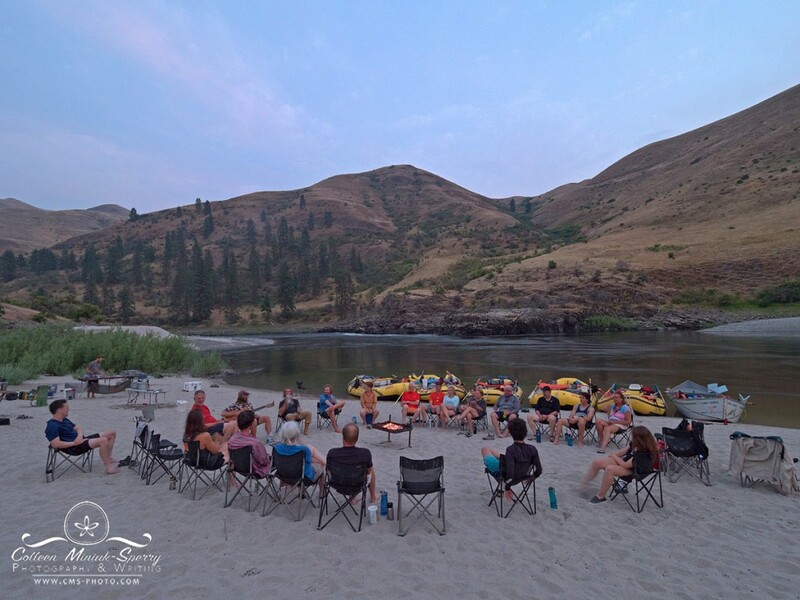 But, I was completely blown away by the wildly diverse and incredible ideas you sent to help us paddle to when times get tough out there on the water and we need some positive vibes. Thanks to those of you who sent musical recommendations in, I now have over five hours (!!) of sentimental, calming, heart-pumping, thought-provoking, and inspirational music to keep paddling along. What I loved most was seeing each of your personalities shine through in your suggestions. I also appreciated hearing from many of you the inspirational backstories of why the song(s) meant something to you. I appreciate all who shared their heartfelt stories and songs with me. Isn’t it an amazing list?! Thanks again, everyone, for helping to make this trip even more special to me! A little later in the week, I’ll post some answers to FAQ’s I’ve received about the trip so far so stay tuned! View of the sandstone cliffs near Lone Rock at Lake Powell from my stand-up paddleboard (SUP) this past August. 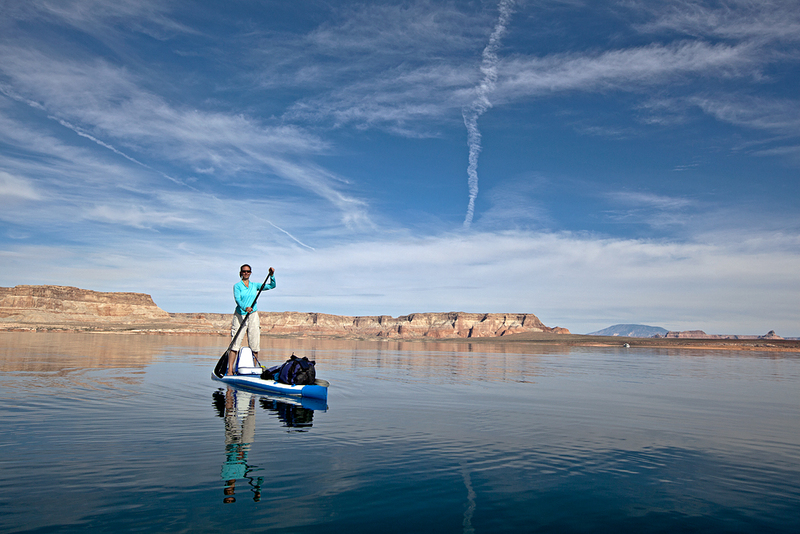 I plan to SUP the ~150-mile length of Lake Powell this November. Occasionally I get these harebrained ideas. Past notions range from wanting to climb Mount Everest in my 20’s (until I learned I really, really, really dislike hiking uphill) to making a pact after college with my talented and athletic friend, Jen, to train to try to make the Olympics in rowing crew (a sport I had never done, but she had – and well – at the Varsity level at Stanford University). Some pass with a hearty laugh and no further mention; some of the perhaps less ambitious ones happen…like standing in 80 mph winds just to see what a blizzard feels like in Maine or leaving at midnight to drive two hours to photograph star trails along the coast through the night. Certainly not Mount Everest or the Olympics, but still fun and exciting nonetheless. I cannot say how my latest silly idea came to be, but this time, it’s actually going to come to fruition. And soon too! 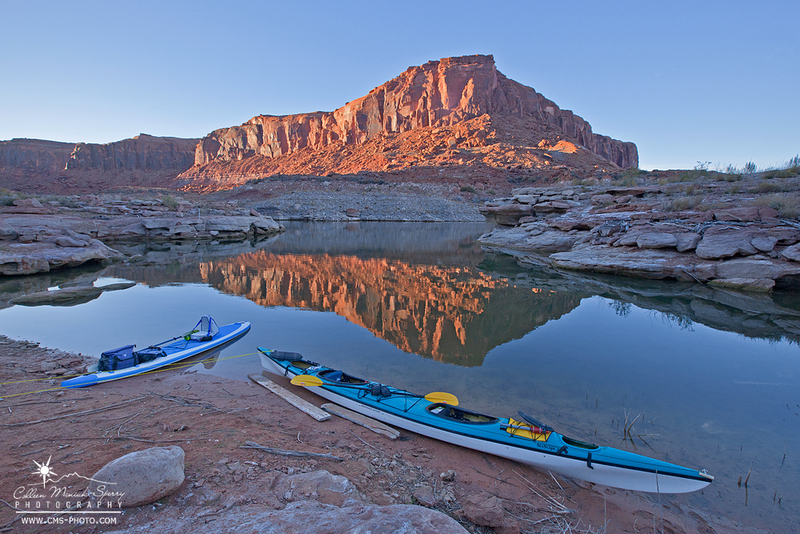 Starting in late November, I plan to traverse the length of Lake Powell, following the course of the Colorado River about 150 miles from Hite to Wahweap Marina on my stand-up paddleboard (SUP). 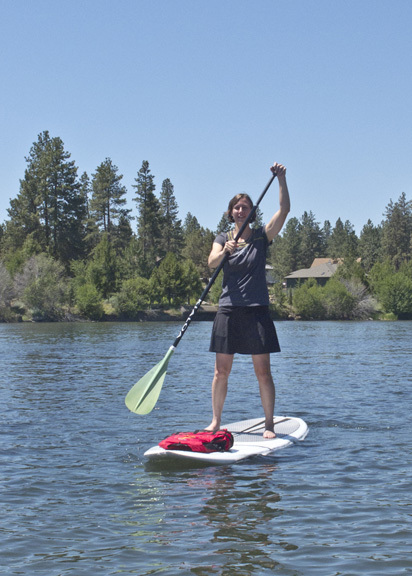 My first time SUPing in June 2013 on the Deschutes River in Bend. Originally, I intended to do the float alone, but when I shared my plans with my parents, my Mom (whom we call the “Energizer Bunny”) immediately proclaimed, “I’m coming with you!” So my 64-year old mother, Jacque, will act as my support crew, paddling with me in a double kayak with much of our gear for the two-week adventure. Although I came up with the idea last fall, I became hooked on “SUPing” in Oregon during June 2013, when our dear friend from college Chris, his lovely wife Susan, and young son visited Bend. At that time, my husband and I had temporarily moved to Hillsboro, Oregon – a mere three-hour drive to Bend – for Craig’s job. 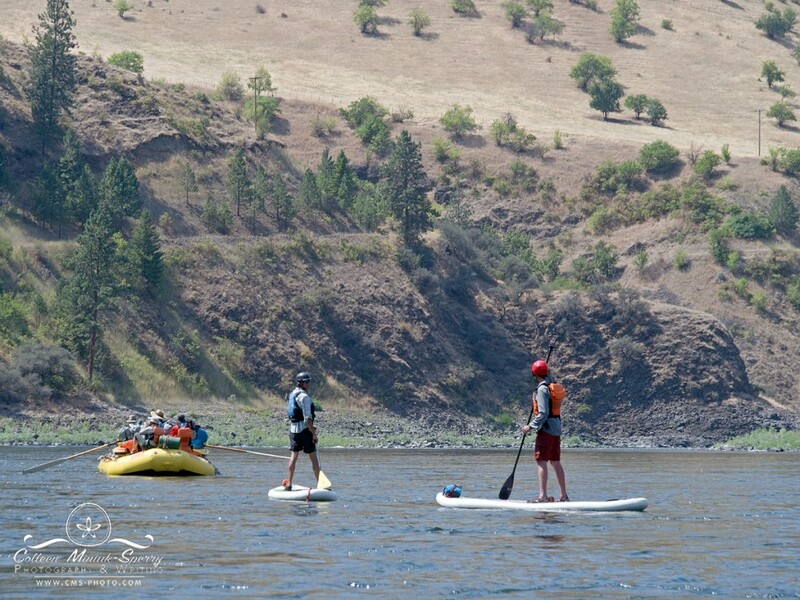 Looking for an afternoon outing, the five of us ventured to the Deschutes River and rented two paddleboards. To make sure someone always had an eye on Chris and Susan’s little one, each couple paddled for about 15-20 minutes, and then came back ashore to switch. From the first moment my shaky legs stood on that wobbly board, I was in heaven. Besides the rhythmic pace mesmerizing me in to a blissful and tranquil state, I became absorbed into the landscape. I felt as if I became an active participant in my surroundings, not just an observer of it. After that exhilarating afternoon, I could not wait to paddle again! “What’s SUP, Mom?” || My mom, Jacque, paddles on a stand-up paddleboard for the first time in August 2014 in Frenchman Bay near Bar Harbor, Maine. 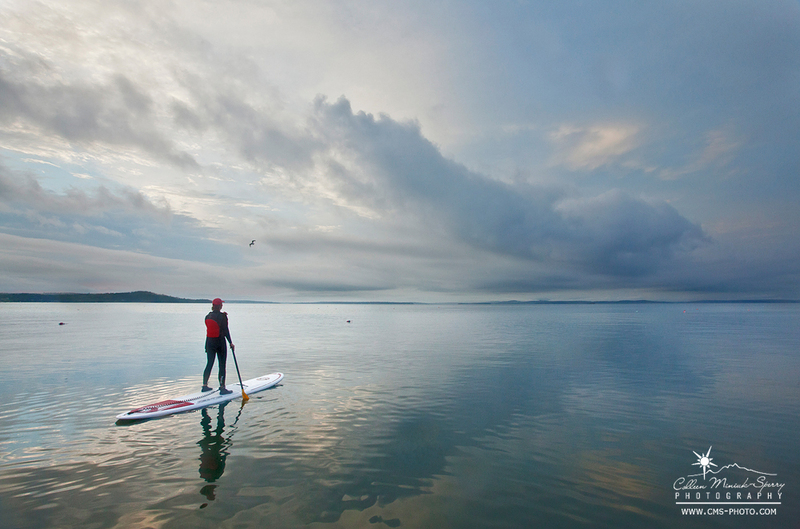 Since then, I have taken a few lessons from some incredibly capable SUP’ers. Each experience only encouraged and inspired me to want more. After a memorable outing with my Mom on Frenchman Bay near Acadia National Park in Maine in August 2014, I started noodling on the idea of a grand touring adventure on a paddleboard “somewhere.” I tinkered with the idea of paddling the length of a U.S. coastline like Oregon, Maine, or even Florida. After a significant amount of research though, I decided I was not quite ready for my aquatic escapades to potentially involve sharks or alligators (at least for now…although I’m quite entranced by the 325-mile Maine Island Trail I just heard about…maybe that will be my next absurd idea…). With no scary creatures hiding within its waters (I think…right?!? 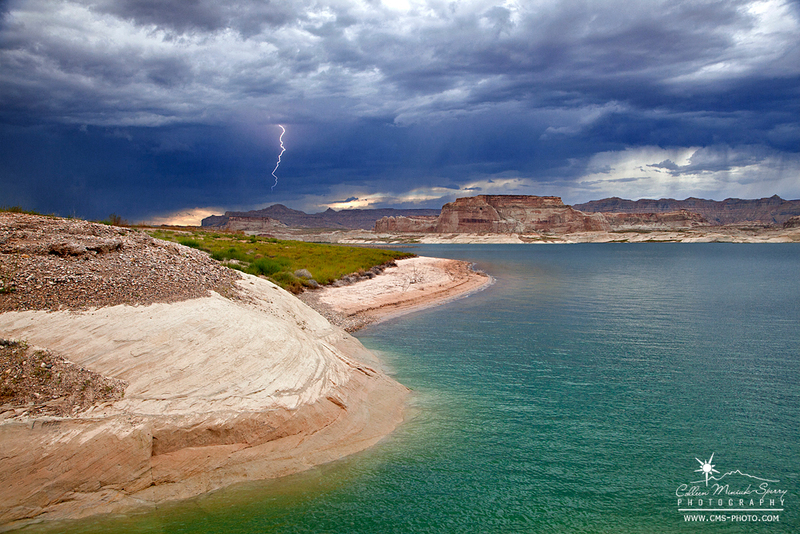 ), the idea of floating down Lake Powell emerged to the top of my list of crazy ideas that likely would never materialize. 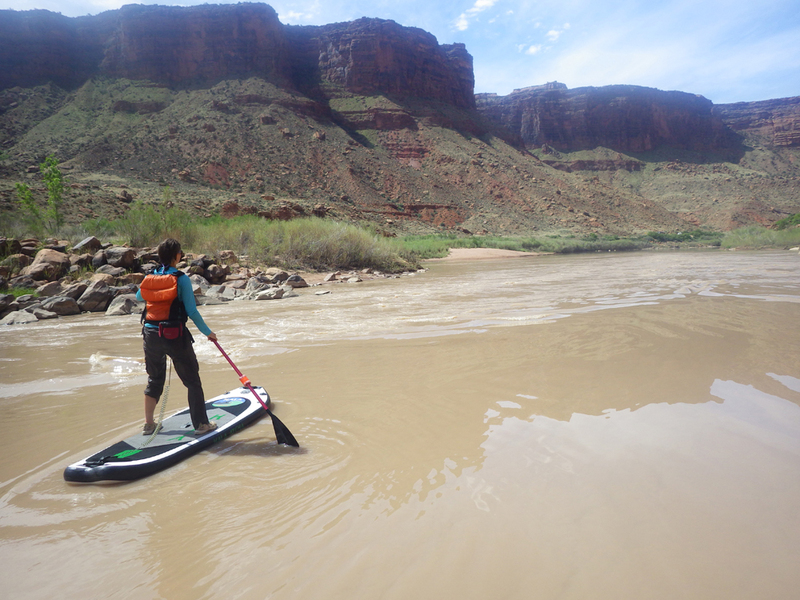 Then I spent the morning my big 40th birthday this past April paddling the upper Colorado River outside Moab, Utah, where, among other things, I learned how to paddle on river rapids. And how to get dunked in them. And live to tell about it (I’m deathly afraid of water where I cannot see my feet. Ironic, huh?). And how to keep keeping my paddle “all in” both literally in the water and figuratively in life. Invigorated by the moving outing, I pondered later that afternoon over a piece of delicious birthday cake, “Life’s short. Why not SUP the length of Lake Powell?” Blame the sugar high, but I could not come up with any reasons not to…well, except for one: I didn’t own a board! Fortunately, my husband gifted me an inflatable SUP for my most recent birthday. After spending much time gliding in lakes around Phoenix and in other lakes around the western U.S. with it, I decided to name my board “Liridon” (which means “free spirit” in Albanian) ahead of its epic journey at Lake Powell. I call it “Lyr” for short, which means “god of the sea” in Welsh (and also in Irish if spelled “Lir”). As I became more serious about pursing the trip, I checked my calendar and found the only window of time large enough to accommodate such an outing within the next year fell in this November and December. Although many have and will disagree with me, I felt like that was an ideal time to complete our adventure. It offered the prospects of the cooler temperatures (compared to scorching summer weather), a reduced chance of brutal winds (as seen in the spring), and fewer boats on the lake than most other months (so we would have the lake to ourselves). I mean, really, where do I sign up??! This past August, I introduced Lyr to Lake Powell on a quick day-long trial run. Under a clear blue sky, I set out at first light to paddle for about six to eight hours where I hoped to cover about 12-16 miles. In the methodical pace of paddling in the warm, welcoming waters around the bay at Lone Rock, I reviewed many details about my November trip. Would I survive paddling in 50 or 60-degree temperatures, 30 degrees cooler than this summer day? Yes, but I should buy neoprene booties just in case. Will I be OK paddling like this, non-stop, for two weeks? An emphatic yes. Outside of solvable logistical challenges, the biggest question that crossed my mind, though, was how would the 14 days I had planned ever be enough? With all the side canyons and inlets and hidden coves to explore, how will I ever be able to stay focused long enough in the main channel to actually make it home? The first squall as seen from a sandy beach along Wahweap Bay. Thunder boomed from this storm about 20 minutes later. Growing cumulonimbus clouds to the southwest pulled me out of my planning trance. The forecast called for a monsoon storm to blow through later in the afternoon. A sizeable squall was moving in early – and fast. I found myself about two to three miles out – and on the opposite side of the lake – when I heard thunder around 11 a. m.
I paddled to the nearest rocky beach, pulled my SUP out of the water, and waited to see what would transpire. As the winds swirled and the angry sky unleashed its fury, I tucked under my beached board to keep as much of me as dry as possible, curled up so that my back and head took the brunt of the hit. Stupidly, I had left my rain jacket and pants at my camp, thinking it was too warm and clear to need such things. Then, I spotted lightning too close for comfort. Leaving the cover of my board, I found the lowest point I could find and away from the bushes (there were no trees in sight). I then immediately assumed the lightning position – even though it meant getting drenched. I spent the next 45 minutes squatting on balls of feet standing on top of my life vest. In hindsight, I should have tossed my metal paddle at least 50-100 feet away from me. Thankfully, my oversight did not cause a disaster. The storm passed, but left in its wake a strong headwind causing one- to two-foot white-capped swells. I sure did not want to paddle in the high winds, but I could see two more squalls on the horizon moving quickly towards me. I needed to make the crossing to the other shore and the last couple of miles back to camp NOW, or I was going to end up sleeping on this shore. While questioning my own intelligence, I paddled ashore the sandy beach beneath my camp site in time to clean, dry, and put away my SUP (about a 20 minute process) before the next thunderstorm arrived overhead. From the time I reached shore around 1:30 pm until the next morning, squall after squall (I counted eight in the waking hours) passed through the area with high enough winds to flatten my neighbor’s tent. After my first trial run this summer at Lake Powell with Lyr, I was not only happy to be alive. I was happy to feel alive! And the outing only made me want my November trip to come sooner. On a two-week tour, though, I know some challenging times will occur among the many memorable highlights, so I would like your help! Tell me, what is your absolute most favorite inspirational song? Please leave a comment below or shoot me an email with your suggestion. I am putting together a new big playlist on my iPhone with whatever type of music you wish to offer – country, rock, indie, pop, and anything in between – so I can bring all the wonderfully positive vibes from my friends – YOU! – with me on my trip to listen to when I need a little pick-me-up. In case you too would like to jam out to the inspiration of others, the AMAZING list of contributed songs has been posted on my blog at “The Lake Powell Paddle Playlist” at youcansleepwhenyouredead.com/wordpress/the-lake-powell-paddle-playlist. You never know, you might need it during your own crazy ideas…I can’t wait to hear what you come up with!